Guns N’ Roses, New Jersey and Great Friends, Perfect Together! My plane arrived around 9pm on Friday night and Heather and Sean came to pick me up at the airport. It was so nice to see them and when I walked outside and took a breath of the New Jersey air, all I could think to myself was, “I love and miss this place so much!”. I literally couldn’t stop smiling and this trip couldn’t have come at a better time since I’ve been feeling an overload of emotions lately and just needed a break. Heather runs the Kristy Fund and she needed some help with collecting Skel-A-Mingo’s from people’s lawns around her town (please visit her website about the Skel-A-Mingo haunting’s that she organizes during October and other fundraisers that she has going on all through the year in memory of her dear friend, Kristy). It was great to be with her during haunting season so I could meet the Mingo’s and help out a little. For dinner we had the best pizza in New Jersey at V&J Pizza. This place blows all the competition away! I love me some Delio’s in South Amboy but V&J Pizza is my all time favorite pizza! I mean, look at the picture below! My mouth is watering just looking at it! It’s a masterpiece!!!! That night Heather and Sean invited some of their friends over and we hung out by the fire drinking beers and laughing. The weather was perfect and I got to meet some really cool peeps! 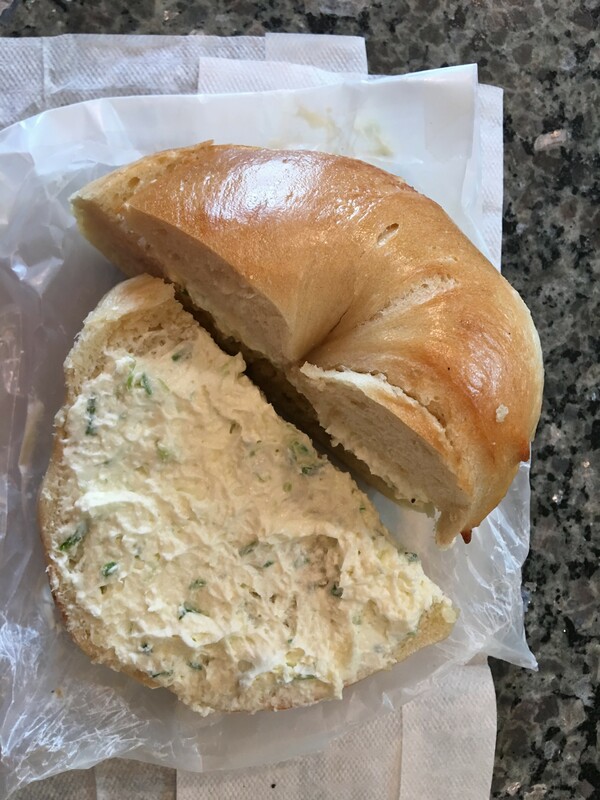 Before I start talking about the concert, I have to mention the plain bagel with scallion cream cheese that I had for breakfast and the awesome Italian sub for lunch from King’s Kid Deli in Pequannock. 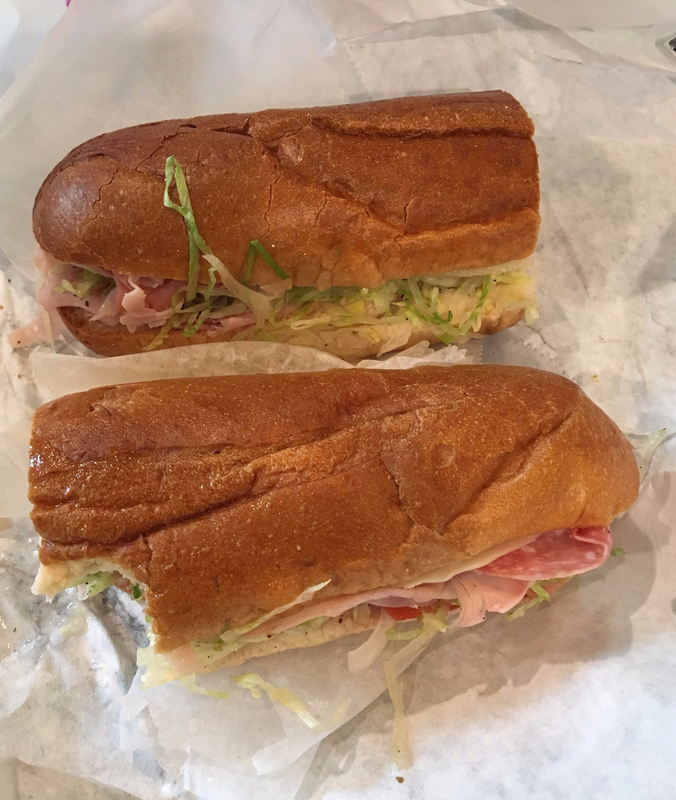 As you probably already know from some of my other posts, it’s all about the food when I come to New Jersey. I try to eat as much as I can then come home and starve myself. Ha! At around 3:30pm we left for NYC to see Guns N’ Roses. The concert started at 7:30pm but we wanted to get into the city early so we could have some food and drinks at Stout which was down the street from The Garden. We shared delicious chicken fingers and an artichoke, spinach and cheese dip to DIE for! I have to give a HUGE shout out to Heather for the tickets she got for the 7 of us! We had amazing seats in the first row on the 2nd level. We had TV’s in front of us, extra leg space and a sill to hold things (like my beer!). Recoup, food, recoup some more, Skel-A-Mingo’s, food, recoup….you get the drill. I woke up and looked at my phone to see what the weather was outside and when I looked, I thought my eyes were playing tricks on me. It’s 35 degrees!?!?! Whoa! A little chilly but I was excited that I would be able to experience cold and crisp air before I went back to humidity hell! Yes, it’s still humid in Florida in October. Just shoot me! My flight was scheduled to leave at 10:50am. I like to get to the airport about 2 hours ahead of time only because you never know what the security line is going to look like. Heather and I left with plenty of time to spare until we didn’t have any time because of all the traffic! What the hell are people doing on the road at 8:00am? Shouldn’t they be at work already? Needless to say, my anxiety level was at 1000 (although I wouldn’t have minded missing my flight and staying in NJ a few more days!). We finally got to the airport and I did the hug, kiss, tuck and roll out of the car and made it to security with only 4 people in front of me. Props to Heather for her amazing driving skills (I was a little scared, I’m not gonna lie) and her calmness during my almost meltdown…ha ! Love you! In the end, I had a wonderful time in my home state with my awesome friends and a little GNR to make it a perfect trifecta! Below are some videos from my trip. My goal was to make a YouTube video but some of my videos didn’t come out so great. Guess I’ll stick with blogging for a while until I can pull my YouTube game together! Feel free to enjoy the ones that DID come out decent. ‹ PreviousBeach in the heat….Not for me!